THE ULTIMATE GOAL of Story Circles is to develop narrative intuition to the point where you no longer need templates as you develop the ability to shape the narrative of material using your own sense for it. this involves repeated “workouts” built around the ABT Narrative Template as the central tool. 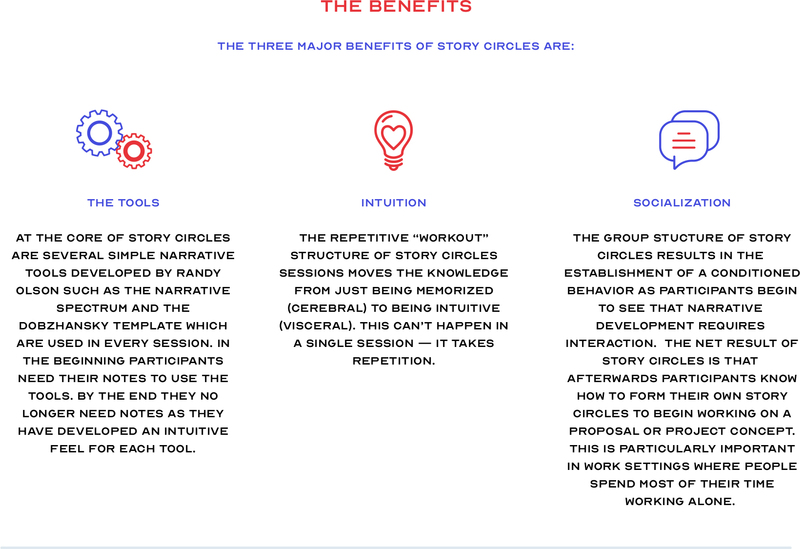 In this way, Story Circles is a new, unique form of communications training which has its origins in both improv acting training and the Meisner acting technique. Both of these methods are built around simple repetition as a means of moving from the cerebral to the intuitive.